Discussion in 'Japanese Server' started by Viibrava, Apr 3, 2014. After searching through the web I found a way to get the Japanese version of Brave Frontier it's a little long but totally worth it! 2. Open ITunes and go to the iTunes music store and scroll down to the very bottom right hand corner and there should be a picture of your country's flag. switch it with Japan. 4. After you have entered all of that information, a billing page will come up. U will see all the billing methods, if there is one that says "None" then you are successful! Click none and and enter the rest of your info. (This may help but the postal/Zip code has to be like this (Ex: 480-1234) and just enter your normal street name and pick any of the Japan cities) If I missed something on that page it is probably fairly simple to do the rest I have discluded. 5. After doing the billing info, verify your email. After doing so, log back in to your new email in the Japanese iTunes Store search brave frontier download it on your computer from iTunes. 6. When it's done downloading, go on your IPod or IPhone and go to the App Store. Once you log in to your new Apple ID, you will notice that most products on the App Store are now Japanese. Go to search enter brave frontier download it and there you go just sit back let it download and now you have brave frontier Japanese version for IOS! 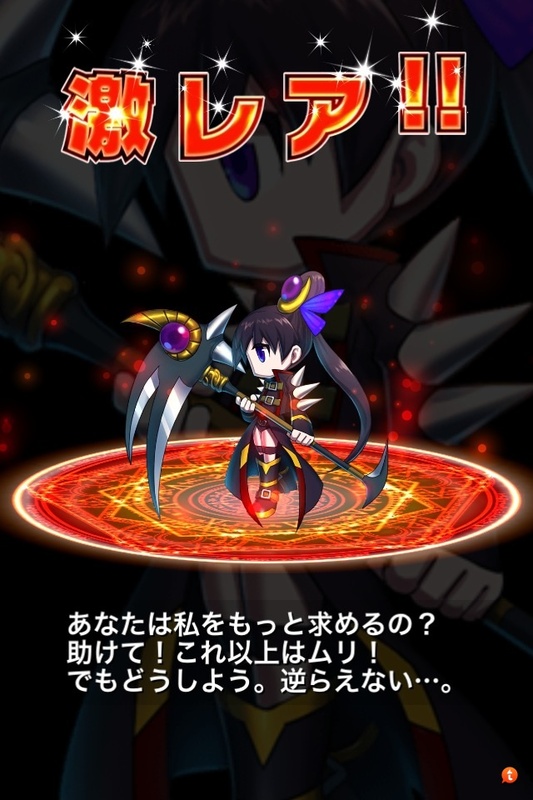 Have fun with you new Japanese version of brave frontier! For support I will show you my first rare summon on it to show you the luck you get in rare summon! kirijo, Milk The Tyrant, suiTNTie and 7 others like this. Thanks for the information! I'll add it to the Guides section. Jaxon and Viibrava like this. I'm having trouble getting past billing details as everything i try requires card details, how do it get around this? Wait, does that mean I can have both the global version and the Japanese version on one device? You can get around this, definitely. I'll list down the method for you. 1. Use a device (like your iPhone or iPad) Do NOT use a computer. For some reason it always asks you to enter in credit card details if you use a computer. 2. Sign out from all previous accounts on the device. (The logout button's right at the bottom on the featured page, just scroll all the way down, click on Apple ID, and sign out) REMINDER : change your store region to japan. 3. Okay, the most CRUCIAL step (you have to do this otherwise it doesn't work, bear with me here ) : find any free app and try to install it. 4. Trying to install the free app will bring you to the choices to sign in, or to create a new account. Select create new account, and just enter in the details. kirijo, xFlamous and Eiris like this. so were you able to play both? Yeah, I'm playing both on one device now, so if anyone wants the answer to that question, it's a yes. Thats great news because I'm planning on downloading the jap version do you switch apple id's when playing between both of them? No, I don't think it's necessary unless you want to buy something in-game. Cause I'm currently on the Japanese Apple ID and have had no problems playing both thus far. If I'm wrong, feel free to correct me. No problem. Have fun with the Japanese version! And after we install it, can we just change it back to english? Or does it need to stay Japanese? It'll install as a separate game with a new account. too much Swag to handle rite? Can't log on jp atm I'm assuming there was an update, if so how do u download it? Well it works, i just wanna ask how to takeover my data to new models/switch my data to another device ?i don't understand the language after all,in global brave frontier as long you have logged into facebook it will be fine,but what if japan brave frontier?how to log in? any idea how to get past this error? It says that maintenance is being done, and will finish on 7 o'clock, 18th of April. Should be over by now. So try again. On my phone, so forgive any spelling errors and whatnot.